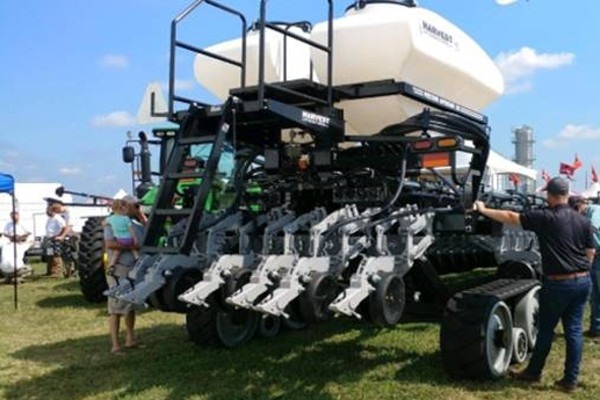 Each year, the Farm Progress Show allows AG manufacturers to introduce their new products to the world’s largest gathering of AG dealers, industry professionals and, of course, farmers. It signals the start of the North American harvest season. In addition to new equipment introductions from the industry’s biggest players, many OEMs also showcased their newest offerings on site. Among these new products, visitors definitely noticed a strong adoption of track system solutions for implements. Indeed, trailed track systems are on the rise, and the Farm Progress Show was strong proof of that trend toward tracks over wheeled equipment. One such instance was J&M introducing the widest AG track in the world on their new grain cart. The new Camso 46” wide track was mounted on the all-new J&M Undercarriage, introduced as Stabilizer Trax. Visitors were impressed with the maximized footprint and ground pressure reduction offered by this new tracked undercarriage. It was one of the most talked-about introductions at the show. Another first public showing at the show was the new Kinze grain carts on tracks. 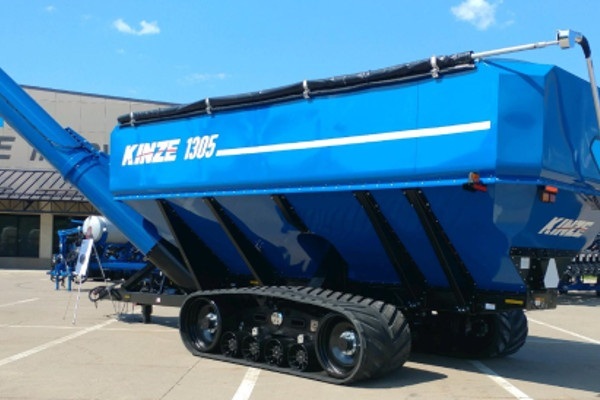 Kinze launched its new Series 1105 and Series 1305 dual-auger grain carts and also made tracks available for the first time on the Series 1051 single-auger grain cart. Track systems on grain carts like Kinze’s offer greater durability, easier maintenance and reduced soil compaction. Harvest International launched their new tracked tool bar planter at the show. The UltraPlant toolbar and the LaserPro 1 row unit bring to the market a customizable platform that raises the bar for quality and manufacturing precision. They also now feature our trailed track systems (TTS). 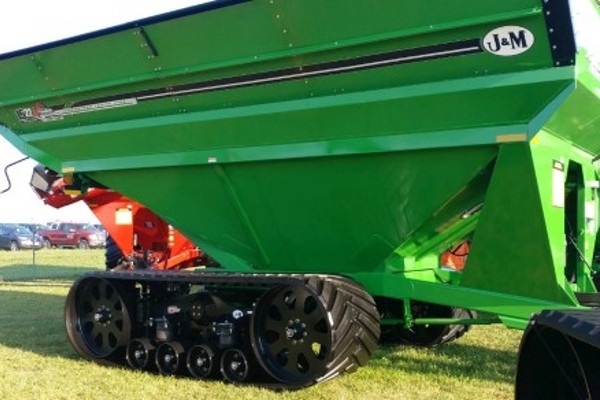 Brandt Ag Products also officially introduced the new Brandt 1500 bushel grain cart, as well as other carts mounted on tracks. 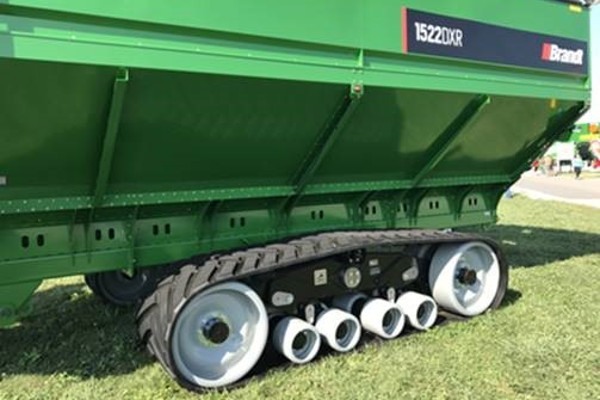 With wider footprints providing better pulling power and lower ground pressure, tracked planters, fertilizer carts, sprayers and grain carts offer more flotation and stability than comparable tire-equipped equipment. This is particularly advantageous in wet conditions, where traction and flotation solutions are not just desired but necessary to get into the field early. To learn more about trailed track solutions and to find the right system for your needs, browse the product selector.